Monitor test pieces are used to monitor the stability of the analytical processes involved when using a cigarette smoking machine for routine analysis. In particular, they are used to assess whether the analytical process related to the machine smoking of cigarettes is in statistical control. An International Standard, ISO 16055, describes the requirements for and use of a monitor test piece. CORESTA has followed this ISO standard to design its own test pieces, referred to as CM9 and CM IP 2 ("9" and "2" being the version number of the available batch and IP referring to "Ignition Propensity"). 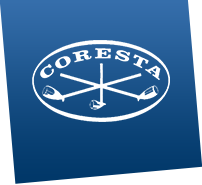 The CORESTA Routine Analytical Chemistry Sub-Group has been given the responsibility to organise the annual testing of the CORESTA Monitor test piece as well as the release of new monitor test pieces. The Technical Reports on collaborative studies carried out to test the CORESTA Monitors can be found listed under the Routine Analytical Chemistry Sub-Group and Documents sections of this website.